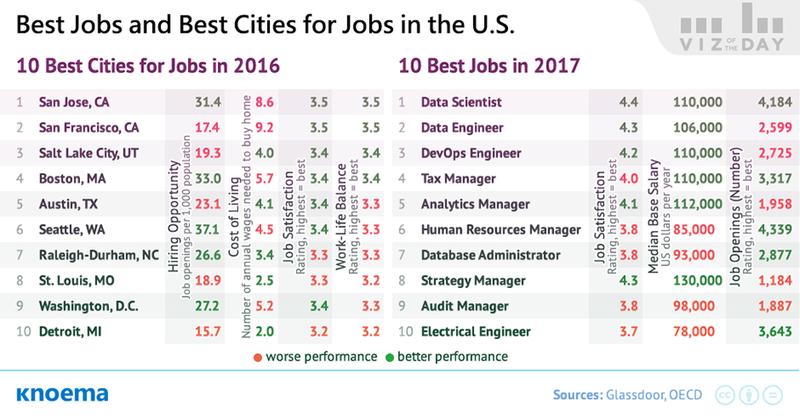 In case one of your New Year's Resolutions is to reevaluate your career, here are the top jobs and cities in the US, according to Knoema.com. Incidentally, Ohio does pretty well in this ranking, with Columbus at 11th, Cincinnati at 18th, and Cleveland at 19th. Go Buckeyes!